The Columbus-based ice cream company Jeni’s Splendid Ice Creams has temporarily closed its down its retail stores and recalled the associated product citing the “possible presence of Listeria.” The establishments, which are in Columbus, Chicago, Cleveland, Nashville, Atlanta, Los Angeles and Charleston, have temporarily closed – following major news coverage of another ice cream manufacturer and retailer, Blue Bell Creameries. Blue Bell was forced to close following multiple Listeria illnesses and reports of as many as three related deaths. 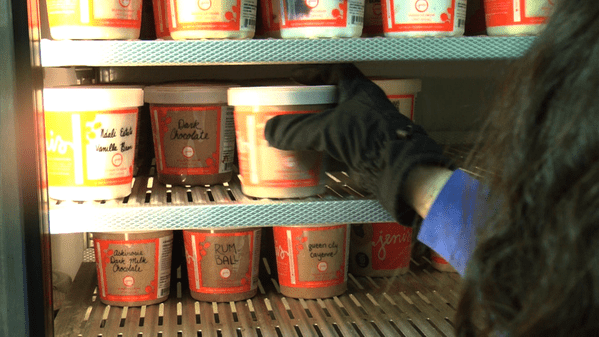 Although not common in ice cream, Listeria is unique in that it can survive in cold temperatures, and is a major threat in the cold meat market. Simon, who also represents a number of the victims in the current Blue Bell Ice Cream outbreak, also answered questions on that outbreak, Simon noted that there are victims going back as far as five years in the blue Bell Creameries outbreak, noting “this can happen when a pathogen finds its way into cracks and crevices in machinery over time, and then emerges due to an acute event such as moving the machinery, improper washing, etc. It can also happen if the pathogen comes from a supplied ingredient such as milk, and that milk facility has the same problem.” Simon, who is headquartered in Texas where Blue Bell Creameries has its main facility, notes that a number of the identified victims are also Texas residents, including clients of Simons. Jeni’s Splendid Ice Creams CEO John Lowe also issued a statement which can be read in the same Sun Times article. Previous articleBlue Bell Listeria Lawyer: Testing New Product?